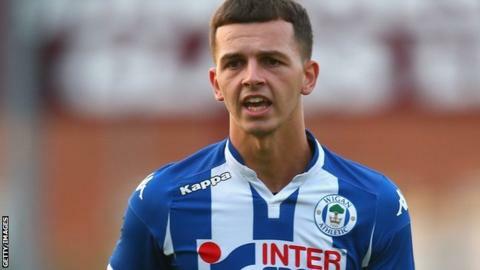 National League side Cheltenham Town have signed Wigan winger Ryan Jennings on an initial one-month loan deal. The 20-year-old had a spell on loan at Accrington Stanley last season but was injured before making an appearance. "I'm just hoping to do well for the team and hopefully I'll show what I can do," he told BBC Radio Gloucestershire. "I feel like this is a place that I can do a good job at. I'm a quick winger that likes to run at players but can pass the ball as well." Robins boss Gary Johnson added: "He has done very well at Wigan and has been on the fringes of their first team. "He's been a regular goalscorer in their Under-21 group and we think he is ready to compete for a place in our team." Who could replace Stuart Lancaster? Read more on Eddie Jones? Jake White? Who will be the next England coach?